We provide Sodium Bromide For Water Treatment. It acts as Disinfectant. As a reputed firm, we are engaged in offering a quality range of Sodium Bromide For Water Treatment. These are considered as a perfect way for water treatment and are widely used in rural areas. The complete range of our products is made up of high quality chemicals sourced from trustable dealers of the industry. All these products are safe to use and are free from all harmful side effects. 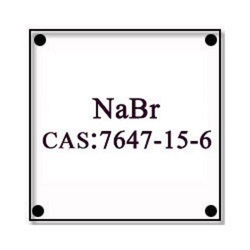 Looking for Sodium Bromide for Water Treatment ?